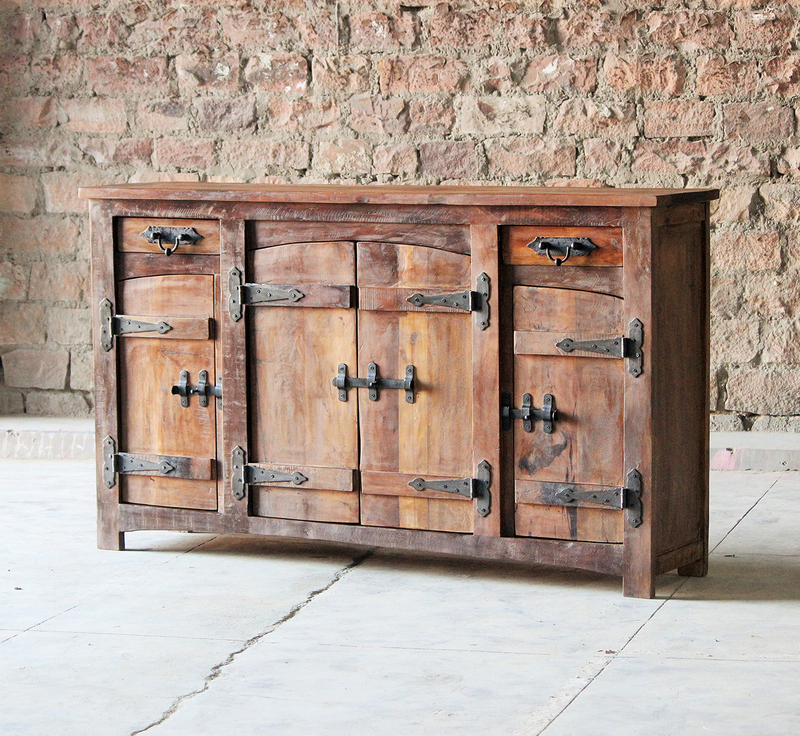 Our Rustica Upcycled 2 Drawer 4 Door Sideboard is handmade from reclaimed hardwood that previously formed part of housing and general premises in India. 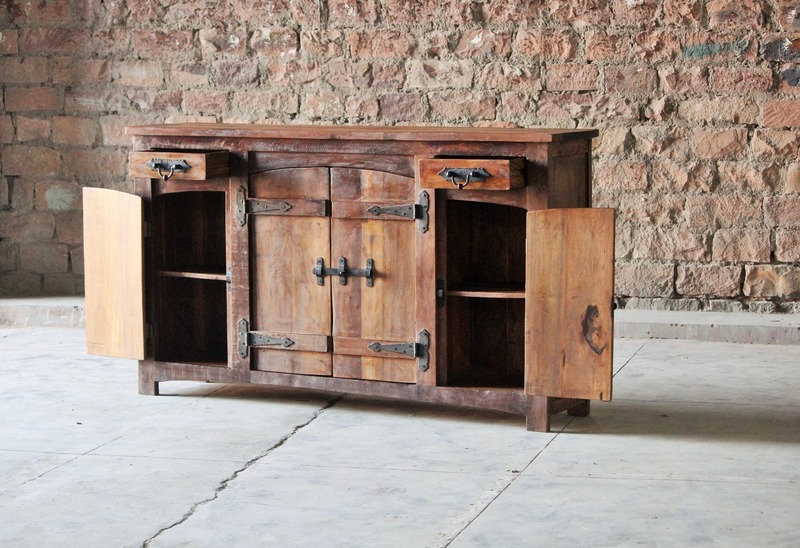 The sideboard has an authentic rustic appearance due to the wood that forms this furniture and the metal clasps and handles that has been shaped from melted down steel. 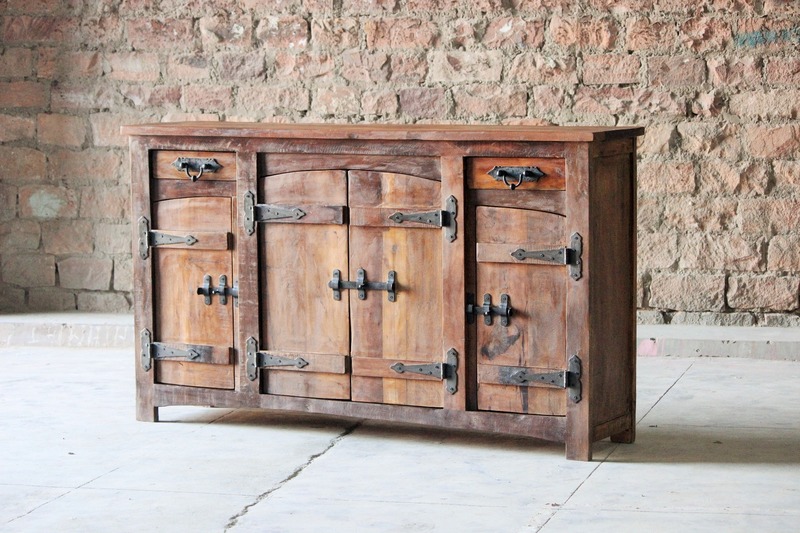 This upcycled Rustica Sideboard features great storage space with its four cupboards and two drawers. 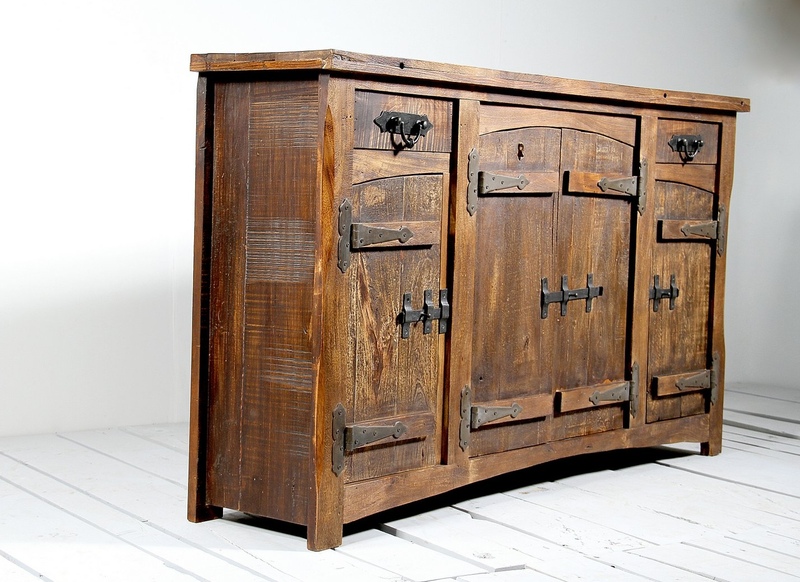 The design of this furniture makes it the perfect sideboard in a traditional, rustic home, but it will also look great in a modern, industrial setting. 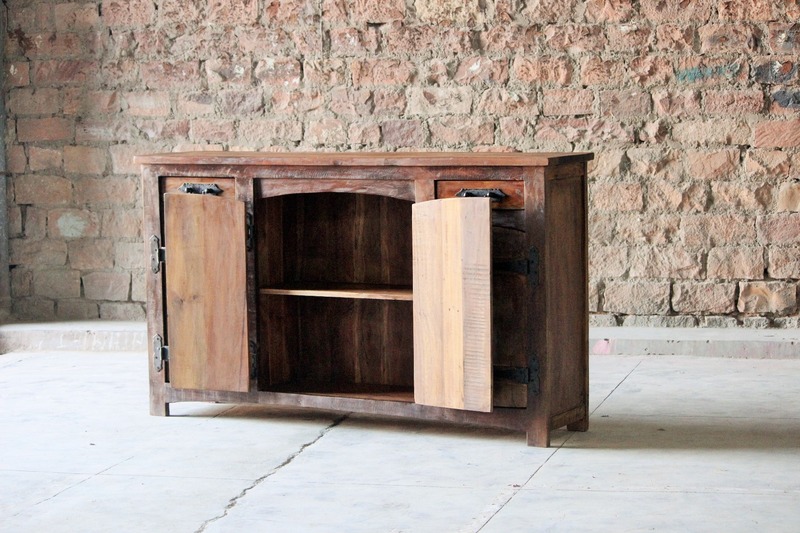 As this is piece of furniture has been entirely made from reclaimed wood, no two pieces will be exactly the same. 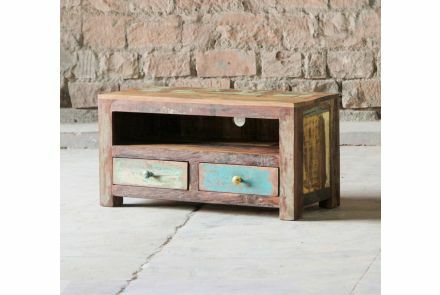 The markings on the wood is original, so every sideboard will have slightly different markings and colourings.